Initial reports suggest the helicopter entered cloud and struck a cliff, locally known as Sisne Bhir. Helicopter consumed in post crash fire. Crash site is located at around 10,000 feet. Accident pilot was dropping off 2 heli-ski clients at a 6,000 foot msl mountain ridge line site, requiring him to preform a “toe in” landing. While hovering, but with the toes of the skids resting on the up-sloping field, and the two skiers disembarked, the main rotor blades contacted an area of ​​rocky terrain. The pilot then flew downhill for an emergency landing. The helicopter rolled to the right after touchdown on snow-covered terrain. EMS helicopter landed in a skate park and became entangled with a skateboarding “grind pole”. Helicopter slightly damaged, but roaded out for inspection before flying again. Helicopter crashed into a residential area, and is the second fatal UH-1 accident in the Istanbul metropolis in three months – the other one was on 26th November 2018 at Sancaktepe. Ethiopian Air Force Mi-17V-5 being operated for the United Nations Interim Security Force for Abyei (UNISFA) crashed inside the UNISFA compound. The aircraft was on routine operation carrying Ethiopian troops on rotation from Kadugli to Abyei, and it could be assumed it was intending to land in that compound when it experienced some sort of difficulty and came down in the wrong place. The helicopter hit the ground very heavily and came to rest upright, breaking the tail boom in two and all main rotor blades losing most of their length. 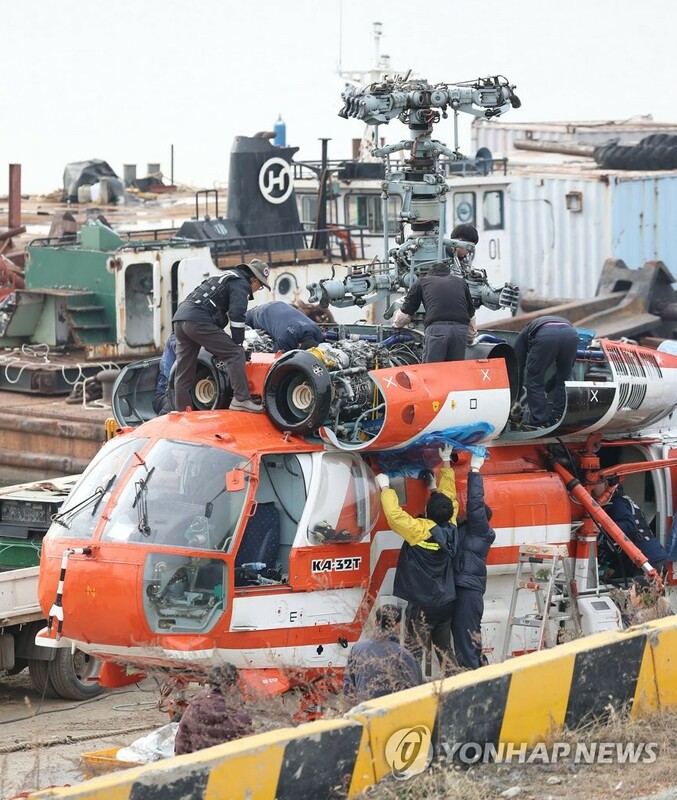 An alarming video shows rescuers going in and pulling at least one person out while the main rotor head continues to turn under power. Of the total 23 on board, three died in the accident and ten passengers were injured with three in critical condition. NOTE – Registration being wrongly quoted (including by the UN here) as UNO370P, which is the UN operational code and not the registration. The military registration/serial carried on this helicopter was ET2015, per this image. Helicopter was carrying Nigerian Vice President Yemi Osibanjo and his aides, none of whom were seriously injured. There was a total of 12 POB including crew. Brown out on approach was contributory to the end result – helicopter on its starboard side. Smoke detected after using of deicing equipment. Precautionary landing made in open field without further incident. The helicopter departed Mount Carmel Grove City hospital and was flying to Holzer Meigs hospital in Pomeroy to pick up a patient. Contact was lost and the wreckage was found in a wood about three and a half hours later. Troopers located the wreckage of a Bell 407 helicopter east of State Route 278 and south of King Hollow Trail in Vinton County. The crew were named here as pilot Jennifer L. Topper and flight nurses Bradley J. Haynes and Rachel L. Cunningham. Pilot was practicing autorotations, landed hard and bent boom. During aerial fire control operations, at about 1956, the helicopter collided with water and came to rest inverted resulting in minor injuries to the three crew and damage to the helicopter. Three on board swam to safety. Mid-air crash between AS350B2 I-EDIC and a Jodel D140 fixed wing F-PMGV, resulting in seven fatalities between the total of nine on board the two aircraft. Helicopter pilot was named here as Maurizio Scarpelli, accompanied by mountain guide Frank Henssler and three others, one of whom survived. In the fixed wing were four people, the French instructor named here as Philippe Michel, who was sitting in the back of the aircraft – with two student pilots in the front – a 51-year-old Belgian and a 59-year-old Frenchman. The pilot reported that during the initial climb at about 3 m, the helicopter began to yaw and roll to the left at an increasing rate. The pilot then initiated a landing during which the helicopter rolled over. The helicopter was substantially damaged but no one was injured. Circumstances unclear. 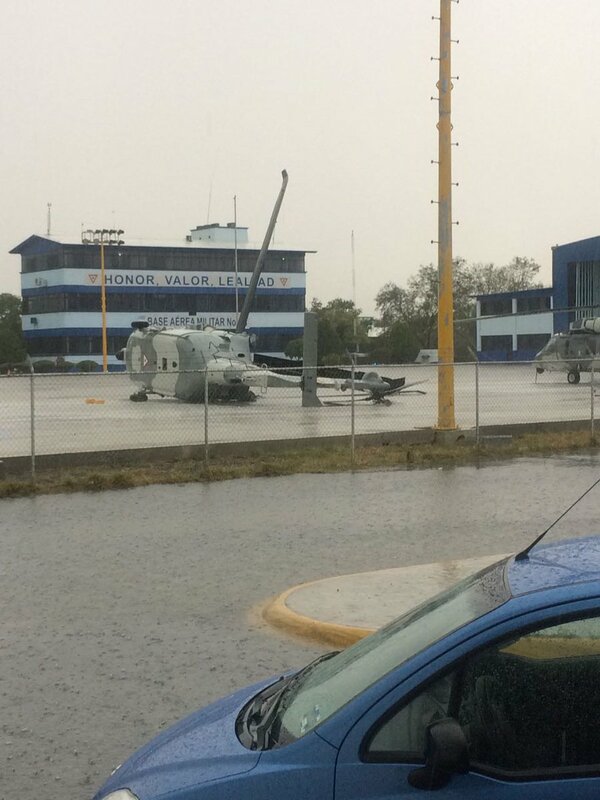 Helicopter ended up on its starboard side on the edge of the apron by the hangars. Pilot and copilot, the only two on board, were not injured. During sling load operations, the load released and struck the loadmaster resulting in serious injuries. SAR helicopter hit zipwire, causing loss of control and immediate fall to the ground. Post crash fire. All four on board suffered fatal injuries. The helicopter collided with terrain about 130km ENE of Alice Springs Airport. A passenger and pilot were on board. The passenger sustained serious injuries and the pilot was fatally injured. The helicopter was destroyed. The aircraft took off from Río San Juan to La Romana Int’l airport MDLR with 5 peoples on board, after been transfer to the La Romana tower he reported 6 miles NW out and the tower report with the traffic inside, Clear to land. Around 30 seconds after the controller lost the visual contact with the helicopter and called couples of times with no answer. The helicopter takes off in the wind. It reaches the altitude of about 20m and makes a 180 ° to head south. Shortly after this U-turn, the aircraft tilts to the left about 45 °, falls rapidly and hits the ground violently. As the helicopter lifted, it began to rotate to the right which the instructor attempted to counter with the application of left pedal and by lowering the collective. The helicopter then rolled to the left and the front of the left skid contacted the ground before breaking off. The helicopter continued to roll further to the left, with the rotor blades striking the ground, before coming to rest on its left side with the engine still running. Helicopter took off from Leicester City FC stadium and crashed shortly after in the adjacent car park. Five fatalities named by police as Club chairman Vichai Srivaddhanaprabha, two members of his staff, Nursara Suknamai and Kaveporn Punpare, pilot Eric Swaffer and passenger Izabela Roza Lechowicz. the bucket and longline become tangled in trees at the edge of a clearing, followed by the helicopter colliding with terrain. The pilot was fatally injured and the helicopter was destroyed. While approaching the pontoon, the pilot reported noticing a warning message illuminate but was unable to verify the nature of the warning due to workload. Pilot elected to conduct a go-around. On the second approach at an altitude of about 40 ft above the pontoon, the pilot recalled feeling a ‘thud’ and the nose of the helicopter yawed sharply left. The pilot was unable to regain control of the helicopter and it collided with the water. The pilot and two passengers exited the helicopter soon after the collision and swam free from the upturned helicopter. The remaining rear passenger was evacuated by one of the surviving passengers and the front passenger (in the copilot seat) was evacuated from the helicopter by the pilot. The two passengers that were unable to exit the helicopter unassisted were fatally injured. The two other passengers sustained minor injuries, and the pilot was uninjured. Two men working on power lines from the helicopter, and heir safety harness failed because it had been rubbing against the power lines causing it to “snap” the release from Calcasieu Parish Sheriff’s Office reportedly said. Both men fell about 100 feet to their deaths from the helicopter – they were later named as Nicholas Gamalski, 27, and Travis Chiokai, 26. Force landing during aerial application work. The sheriff was reported as saying Pilot Robert Krier with Ride the Sky Helicopters and passenger Steve Ahrendt, the owner of the cattle, were in the helicopter when it clipped a power line looking for loose cattle. Both occupants reported as suffering serious injuries. Heavy field landing after reported engine failure. Little/no damage to tail boom suggests mainly vertical impact, although main blades broken at the rotorhead. Aircraft is registered to James Delullo at an address in the same town as the accident location. Passing 500 ft in a descending turn at approximately 50 kt, the pilot reported the helicopter began to vibrate. The pilot was unable to stop the vibration and conducted a precautionary landing. The helicopter landed hard and severed the tail boom. 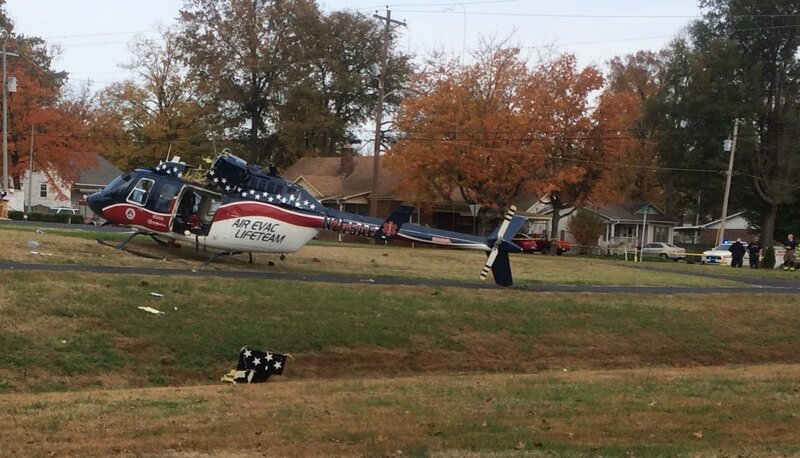 The helicopter sustained substantial damage and the pilot and three passengers were not injured. Helicopter crashed on a photo survey flight – it was chartered by the National Agency for Studies and Follow-up on Railways Investment, who were conducting cartography of the new railway line linking Algiers downtown to the western suburb of Zeralda. Images show the helicopter completely burnt out.